"Dr. Haywood Hall is one of the foremost social entrepreneurs in Global Health. He leverages his years of expertise to improve the health and well-being of populations through partnerships to provide excellent emergency and acute care from birth onwards..". As one of its many physician participants, Judith Tintinalli, MD, said the experience was “just phenomenal,” and for several reasons. Participants live in the geographic heart of Mexico while learning the language, take Spanish classes in a charming historic inn turned academic center, and use newfound language skills professionally while providing treatment at the town's emergency care facility. But the PACEMD program, while impressive, is not the subject of Dr. Tintinalli's highest praise; that she reserves for Dr. Hall. “He built this out of nothing. It is absolutely amazing. He did it without [outside] funding. His ability to negotiate and network just blows me away,” said Dr. Tintinalli, a professor and the chairwoman emeritus of emergency medicine at the University of North Carolina, Chapel Hill. Secretary General, International Federation of Emergency Medicine. Professor in Emergency Medicine, University of Maryland School of Medicine. 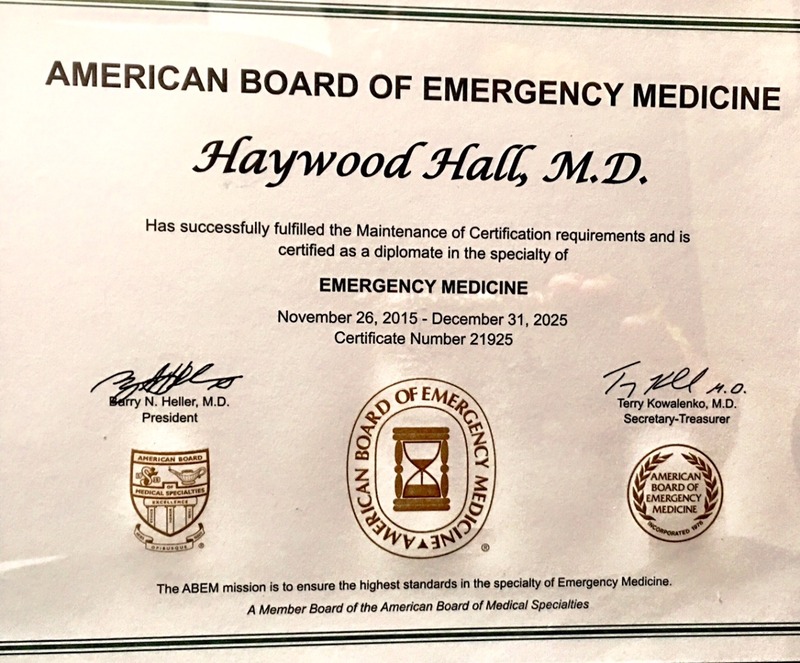 "Dr Haywood Hall is one of the most dynamic, hard-working, diversified emergency physicians working in the international emergency medicine arena. 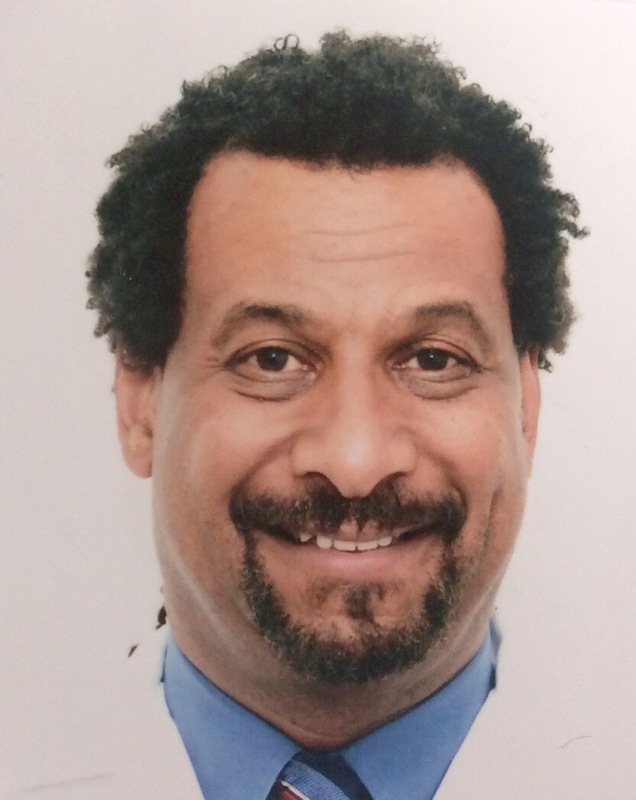 His foresight, enthusiasm, selflessness and dedication have earned him well-earned respect from his far-reaching international colleagues, and his involvement on multiple levels of local, national and international emergency medicine and acute care systems development are well-known, emulated and sought-after. 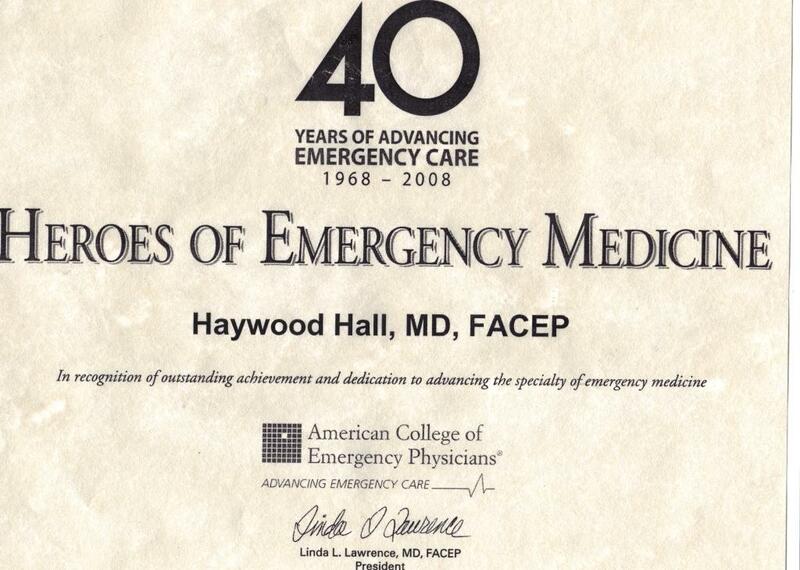 I offer my highest recommendation of Haywood Hall, one of the international EM gurus in the field". 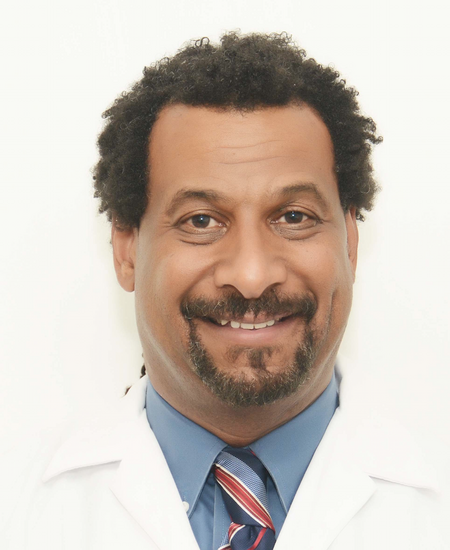 "Dr. Hall is an intelligent, energetic, and personable physician with a broad range of education and experience whom I have enjoyed knowing and working with for many years. 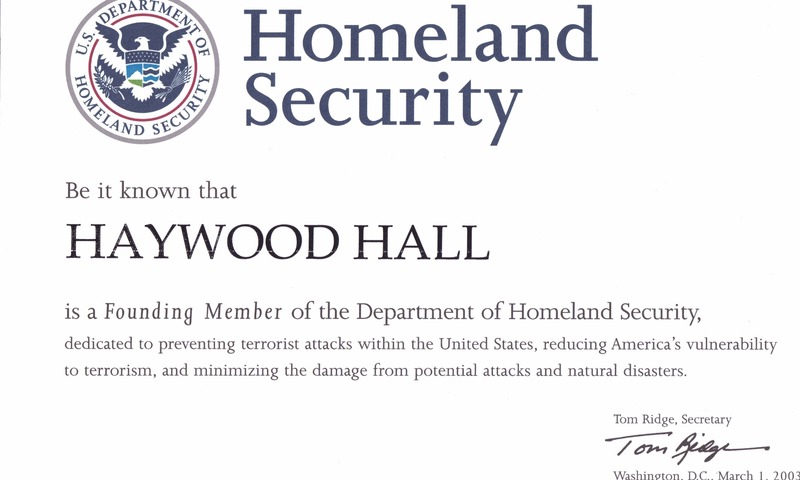 We have worked together in many locations and situations - including during extremely difficult responses to Presidentially-declared disasters - and I have absolutely no doubt that Haywood will perform whatever duties are asked of him reliably and capably. In addition to these abilities Haywood is a strategic thinker and can be counted on to provide valuable contributions to the design or planning of an activity. I am happy to provide my highest recommendation, without reservation, on behalf of Dr. Hall." 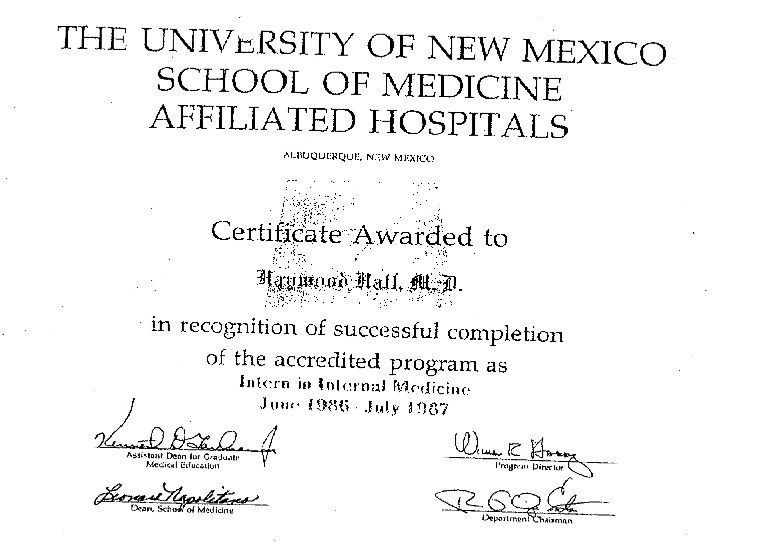 "Dr. Hall demonstrated his commitment to excellence and team work, as well as his superb medical judgement when he founded the Emergency Room at the Heart Hospital of New Mexico, contributing immensely to the hospital's reputation as a Best Place to Work and as a nationally recognized program for heart care." 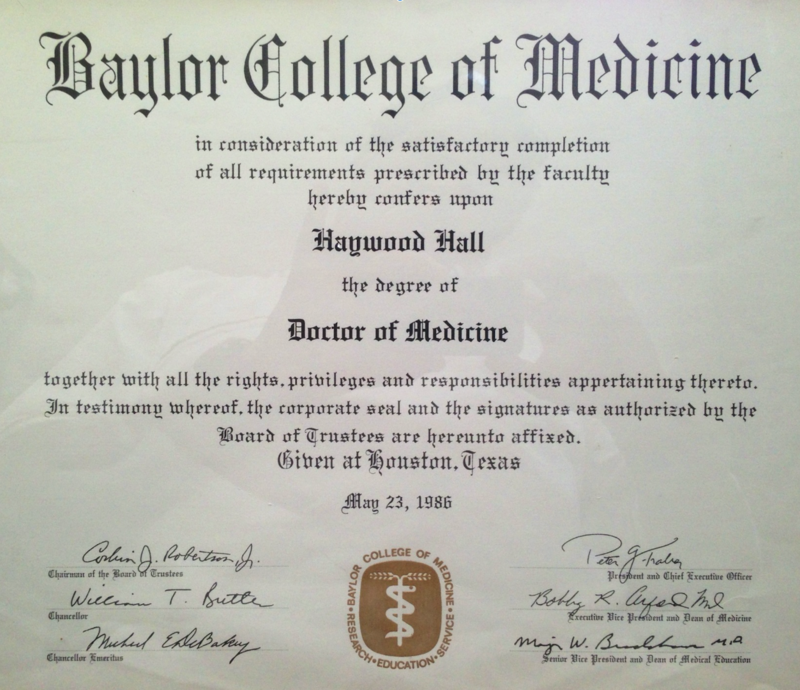 "I've had the privilege of working with Dr. Haywood Hall since he began serving on the EPI editorial board in 2010. Dr. Hall is a tireless advocate for emergency medicine, but even more for his patients. His passion for improving medical care for his community is truly inspiring and he makes his mark wherever he goes. EPI is proud to have Dr. Hall contributing as a writer – but even more as a standard bearer." "It has been my pleasure to work side-by-side with Haywood in these different but equally challenging healthcare environments. I have found him to be among the finest clinicians to share patient responsibilities with. He is punctual, professional, exacting and resourceful. I have found him to be ethical and hard-working. 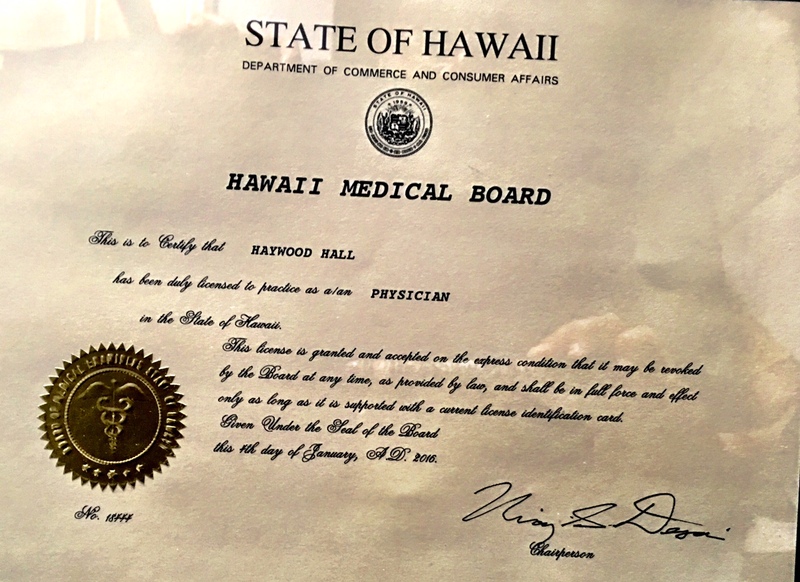 Dr. Hall has established his reputation in New Mexico for providing excellent patient care. 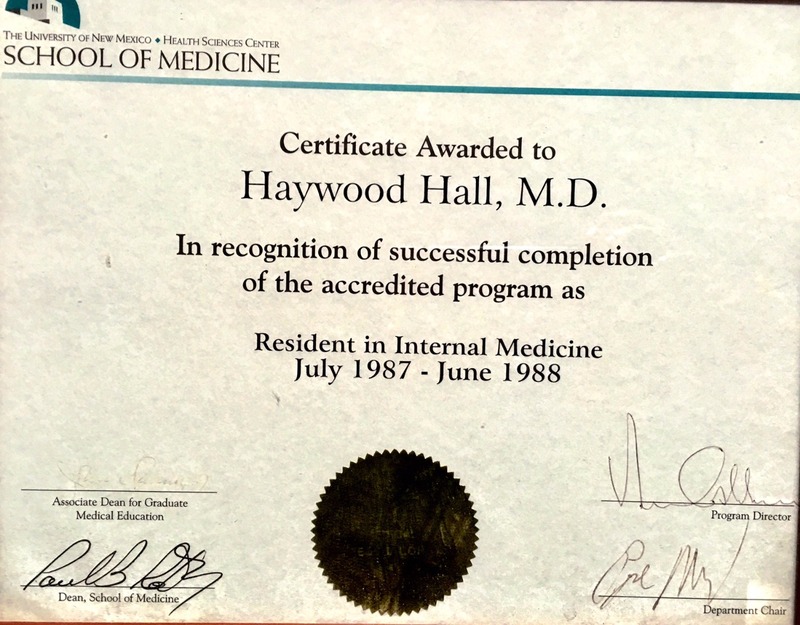 As chief of staff at holy cross hospital in Taos I also found Haywood's perspectives on health care indispensable when considering changes we had to implement locally relative to those that have occurred to national healthcare policy. He is well versed in health care policy and economics and has been involved in directing the future of emergency medicine as a leader within the American College of Emergency Physicians and the International Federation of Emergency Medicine". "Dr Hall makes dreams come true and miracles to happen for people in need of education and medical care throughout the Americas. He is an innovator and out of the box thinker in both public health, emergency medicine and internationalism and humanitarian pursuits. 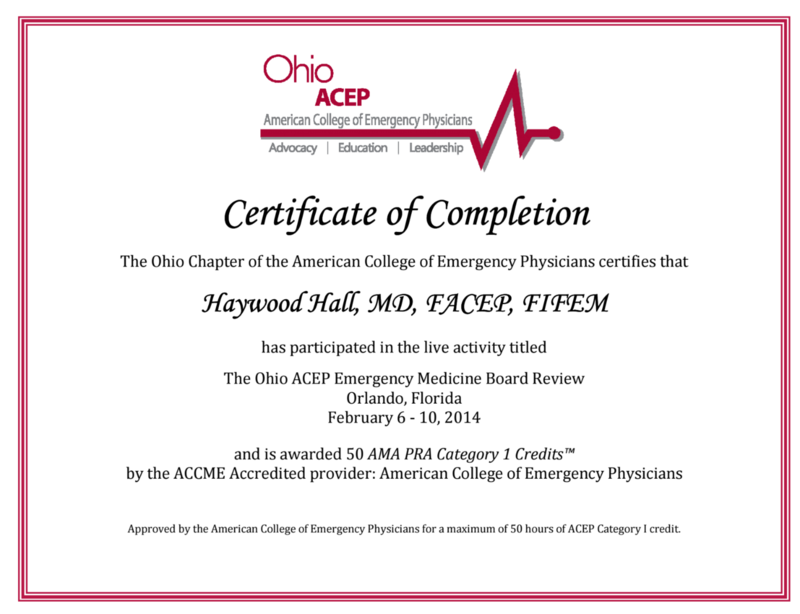 We are fortunate to have his leadership in ACEP and other organizations." 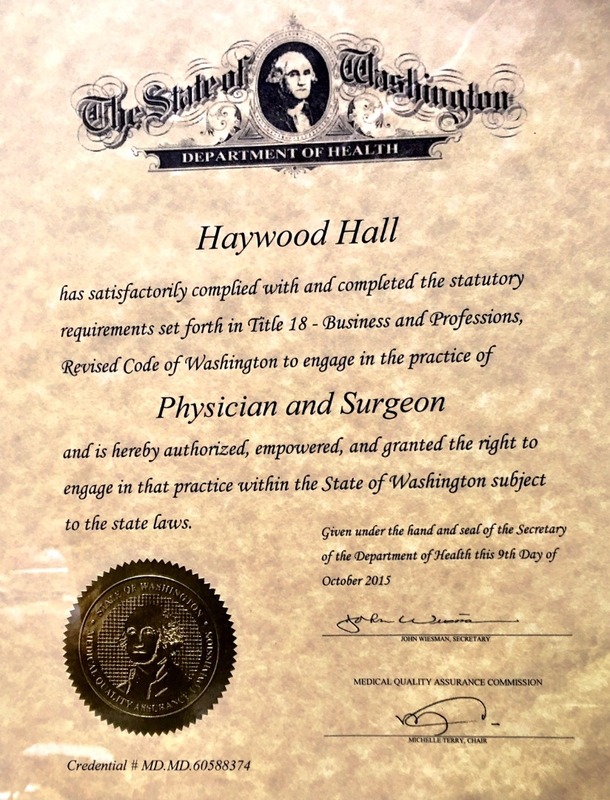 "Haywood Hall MD is results driven. He concentrates on goals/priorities that will have the greatest impact on decreasing maternal and neonatal mortality throughout Mexico. He is innovative and approaches situations with open-mindedness and a willingness to change perspectives. He collaborates and maintains productive working relationships with individuals at all levels. 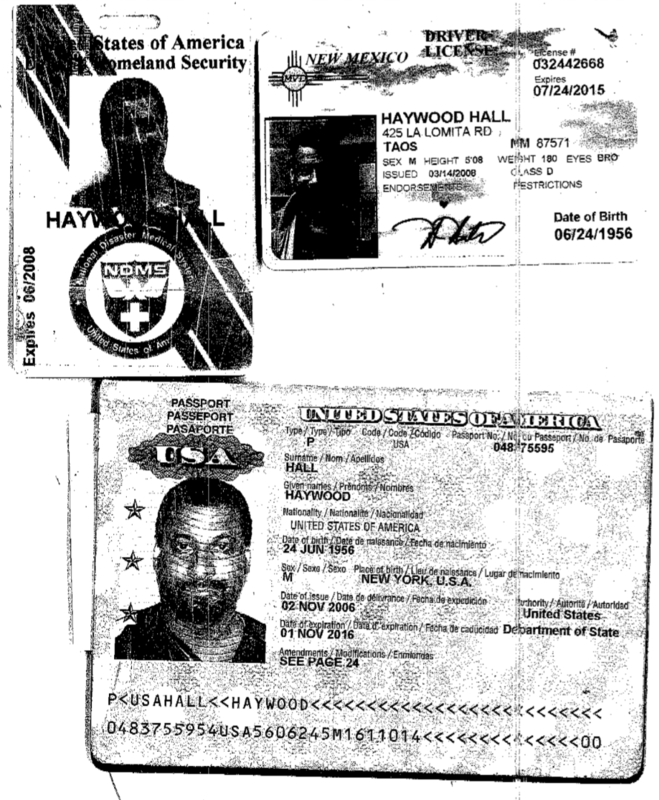 Haywood puts the long term success of the ALSO Program ahead of personal gain or ambition. " "I am writing is strong support of Dr. Haywood Hall. I have worked with him closely during my 7 years on the Advanced Life Support in Obstetrics (ALSO) Advisory Board and my current position on the ALSO Editorial Board. 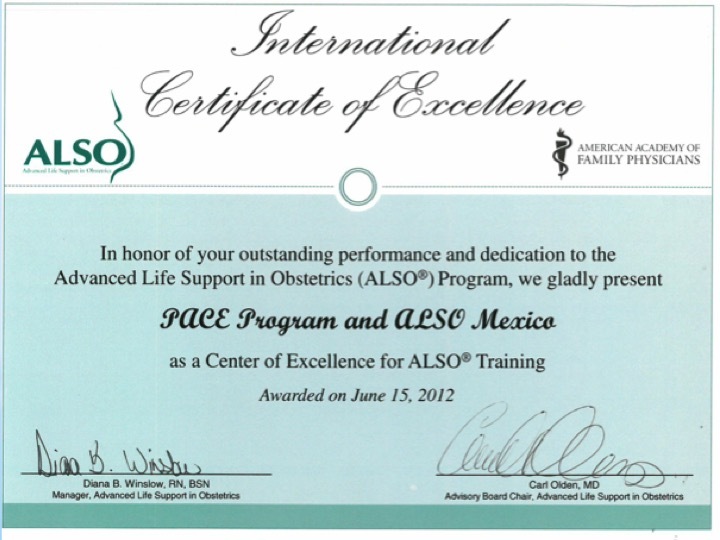 During that time, Dr. Hall brought the ALSO course to Mexico and has organized courses which have trained thousands of maternity care providers in Mexico. Certainly this has saved the lives of many women and children. ALSO Mexico has become a regional and world leader in ALSO. Dr. Hall has organized teams which have introduced ALSO to countries including Panama, Costa Rica, Chile, Colombia and Argentina. Dr. Hall is a visionary who is changing the world for the better. 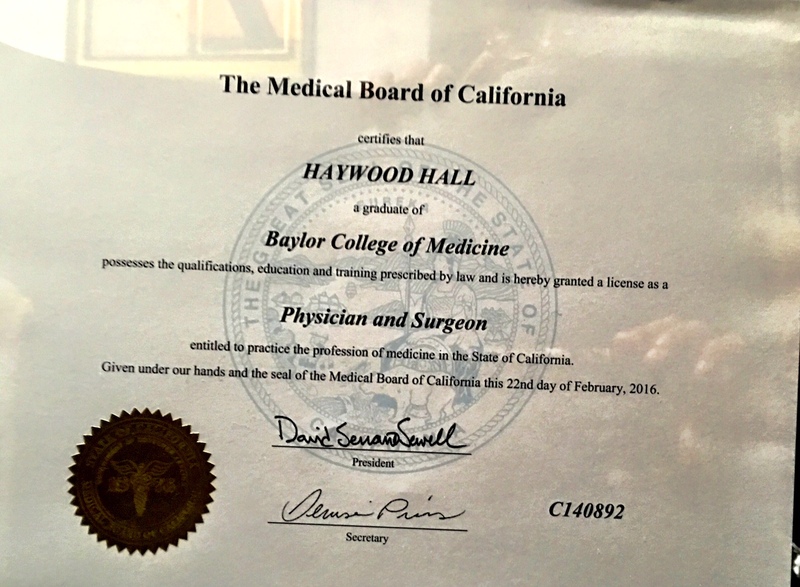 Dr. Hall has not only promoted ALSO, but also Basic Life Support in Obstetrics (BLSO) to bring emergency obstetrical skills to the prehospital setting. 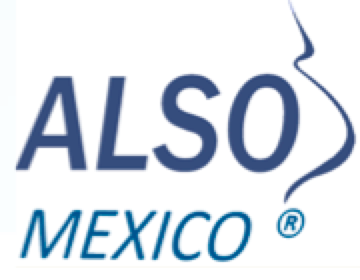 Dr. Hall is head of PACE MD which runs not only ALSO but many emergency medical courses from San Miguel de Allende Mexico. First responders are more prepared for whatever emergency they may encounter. Dr. Hall has skill writing grants. He has negotiated the translation of ALSO into Spanish. This translation is the official Spanish translation used throughout the world. In summary, I give Dr. Hall my highest recommendation." 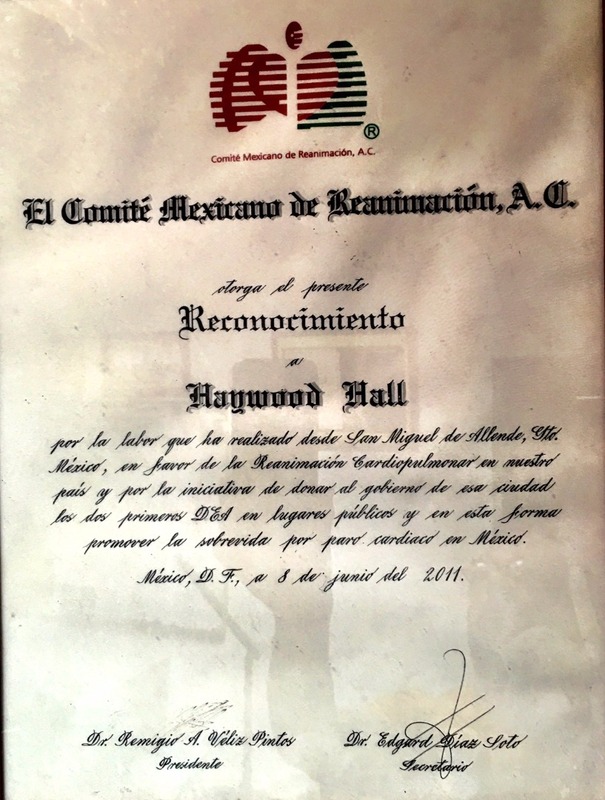 Dr. Hall is a highly motivated driver of PACE’s work, and has generated a respectable group of supports from a range of fields (including doctors, nurses, midwives, community activists, government officials , academics and researchers)... PACE has been a leader in Mexico…and has successfully combined models from emergency medicine with emergency obstetric care. "Dr Haywood is a great leader that thinks about and plans the future with imagination and wisdom. He is a person that inspires trust and confidence whose work is framed within values of justice and responsibility. " "Dr Haywood Hall, MD has been fundamental in setting up the infrastructure for ALSO Mexico. In the past year no less than 30 programs were run last year 2010. He has also extended various other life support programs in areas or rural need. He is extremely organized and and focused on implementing better life support measures for the rural and deprived areas where need is greatest and mortalities rate occur it is always a joy to be able to work with Haywood and learn from him"
E Spindler Article " Just in Time"
25 years experience as a Board Certified Emergency Physician ( ABEM # 21925) and have seen over 80,000 patients in emergency departments in Texas and New Mexico. Residency Trained in both Internal Medicine and Emergency Medicine. ACEP ID A223885. American College of Emergency Physician's "Hero of Emergency Medicine"
I3 LATAM " Top 10 Social Impact Enterprise in Latin America and the Caribbean"
PACE has been a Certified B ( Benefit) Corporation and has trained over 41,000 people at all levels of care. We take "systems approach" to training. Brought Panama, Cuba, Peru, Venezuela in as full voting members of the International Federation of Emergency Medicine. 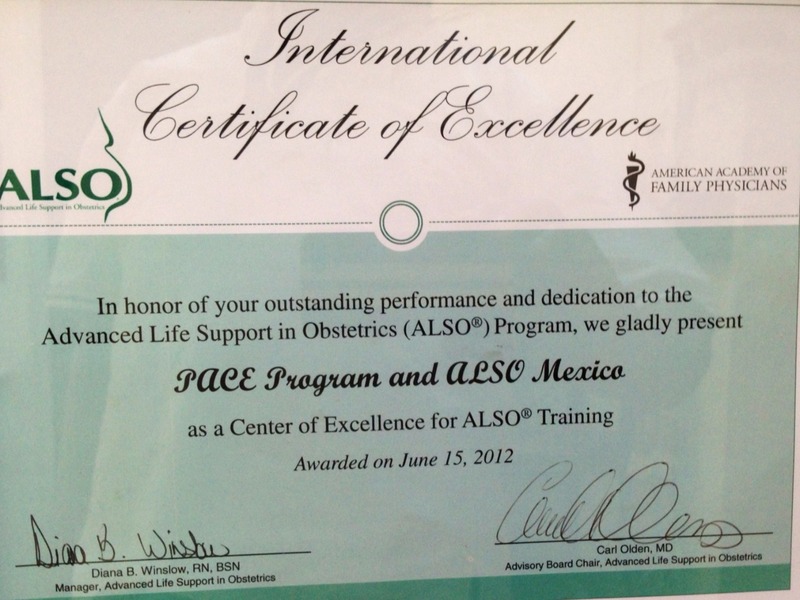 Organized teams which introduced the Advanced Life Support for Obstetrics program to ALSO to Latin American countries including Panama, Costa Rica, Chile, Uruguay and Argentina. 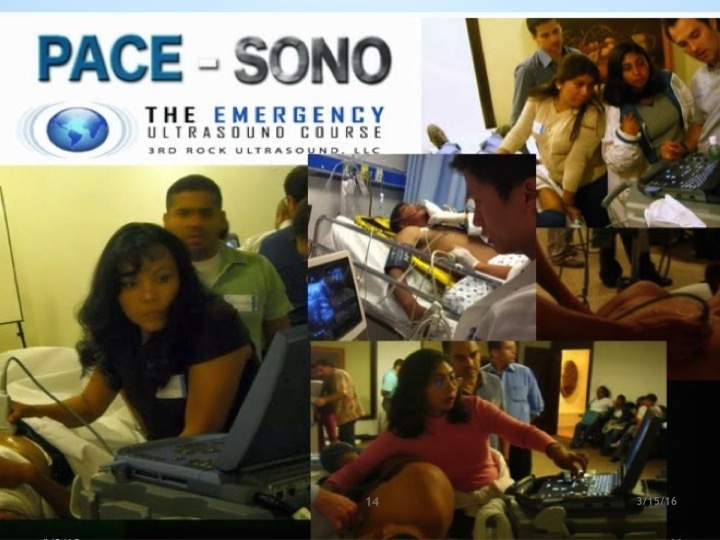 Developed the PACE SONO Comprehensive Emergency Ultrasound course in Mexico in 2011. 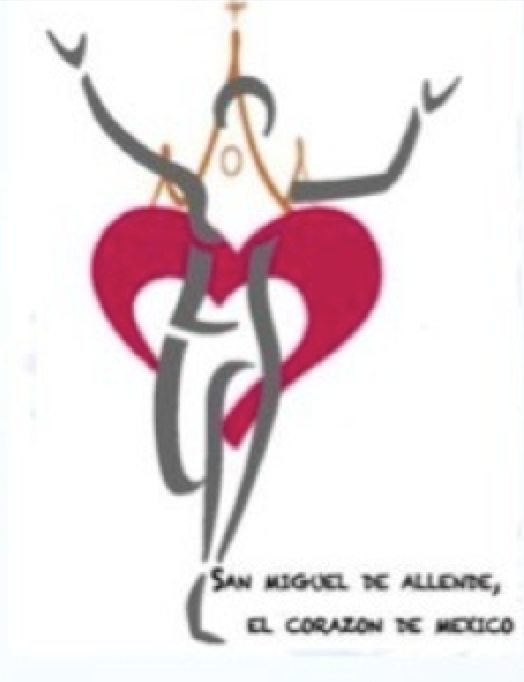 Organized the Sexual Assault Forensic Examiner Technical Conference in San Miguel de Allende in 2014. 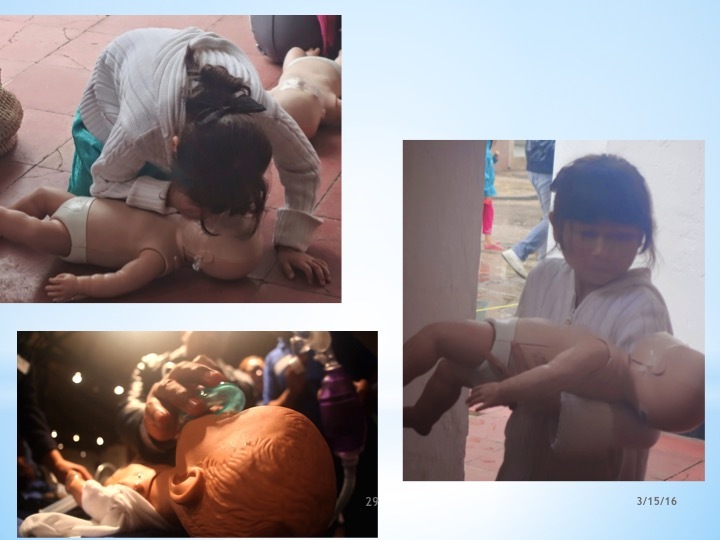 Trained and Certified 24 Neonatal Resuscitation instructors in 2014 in the State of Chiapas along with 150 traditional midwives and community health workers in a Obstetrical First Response course. 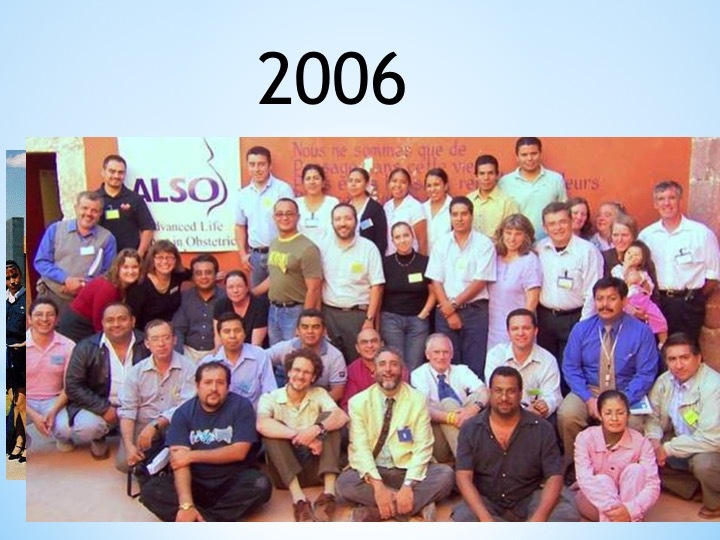 Founding Director , PACEMD Global Health / PACE MedSpanish Programs 2002 to Present- Approximately 500 English speaking health professionals trained. 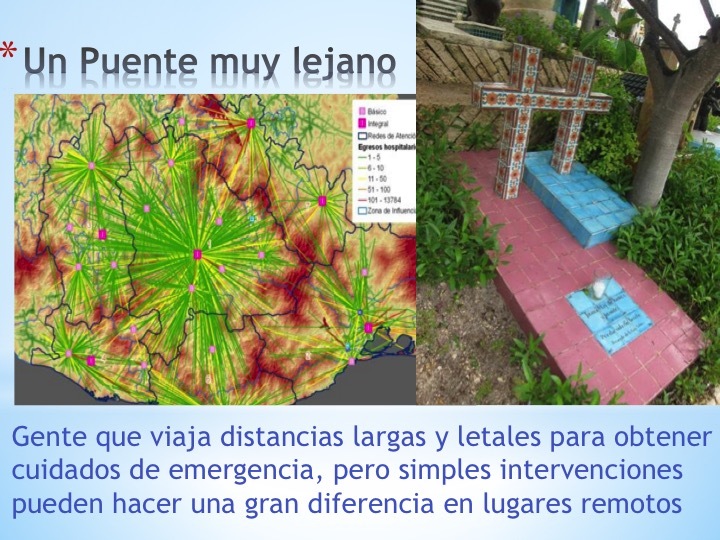 Cuban Journal of Critical Care and Emergency Medicine, reviewer. Although I was born in Brooklyn New York, I was raised in Mexico as a child until the age of 8. After a " real world education" as a musician / piano tuner, a Con Ed meter reader and a NYC cab driver, I received my GED and I went back to college, dedicating my life to improving emergency care, and decreasing pain and suffering, especially among Spanish speaking and other marginalized populations. As an emergency physician, I have seen over 80,000 patients in emergency departments, worked in various private, public, and academic settings. I have won the highest international honors in my field. I have seen humanity at its very best and its very worst. An example of this was my service as a Medical Officer during the WTC 911 Disaster. My grandparents were born slaves in 1860 and my father was born in 1898. True to my family's values (my parents were both civil rights activists), and wanting to make a change in the world, I began to focus on what it would take to become my version of a change agent. I slowly made the transition to becoming a "Social Entrepreneur". I realized that the roots of social change have to go beyond non -profit models and I started what ultimately became an impact enterprise in 2002. Although Social Business may not be able to solve all of the world’s problems, I am convinced we have to develop a new norm: enterprise with a social contract. I brought my company through the B Certification process. We are literally redefining the tools of training as a leverage for infrastructure development and innovation. We have been proud to be have been considered a "Top 10 Social Impact Enterprise " in Latin America and are now pioneering with strategic partners in the areas of mHealth/Telemedicine, Palliative Care and have an interest in “Promotora based models” of health care. We have been especially inspired by our work with parteras in Chiapas and plan to improve care for all out to the last kilometer. Through my work at PACE, and through my other clinical and telemedicine work, I am uniquely committed and positioned to significantly improve the health care outcomes of Latino populations. Completed specialty training in two fields of medicine. Honors in Community Medicine , Emergency Medicine , Pulmonary. 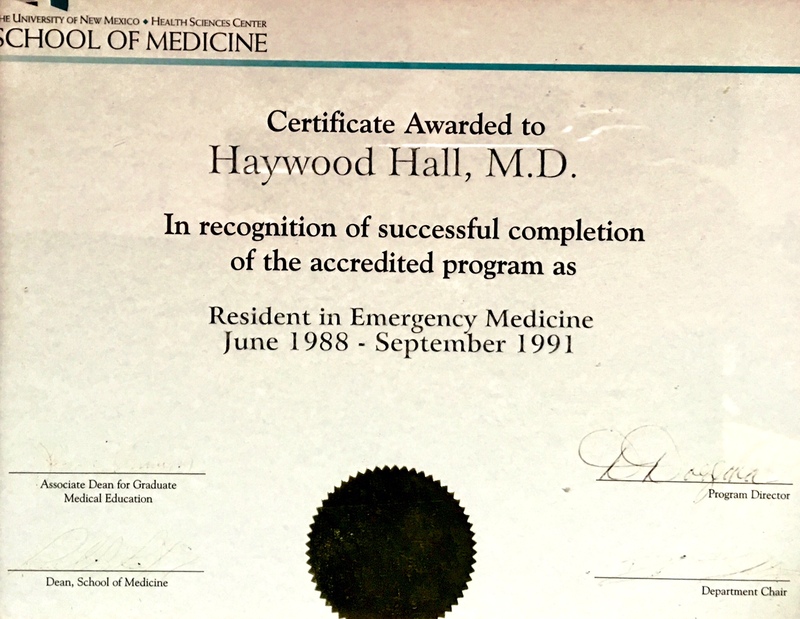 Assistant Professor of Emergency Medicine (Clinical Educator), University of New Mexico School of Medicine, (8/6/96 to 8/6/97). Florida Medical License # ME127903, issue date 4/13/16, exp. 1/31/21. Hawaii License # 18444, Issue date 1/4/16, exp. 1/31/18. Minnesota Medical License 2074, Issue date 10/2/15, exp. 12/31/2016. Nebraska Medical License # 28879, Issue date 10/20,15, exp. 10/1/16. Ohio Medical License 35.127313, 9/23/15,. exp. 10/01/16. South Carolina. 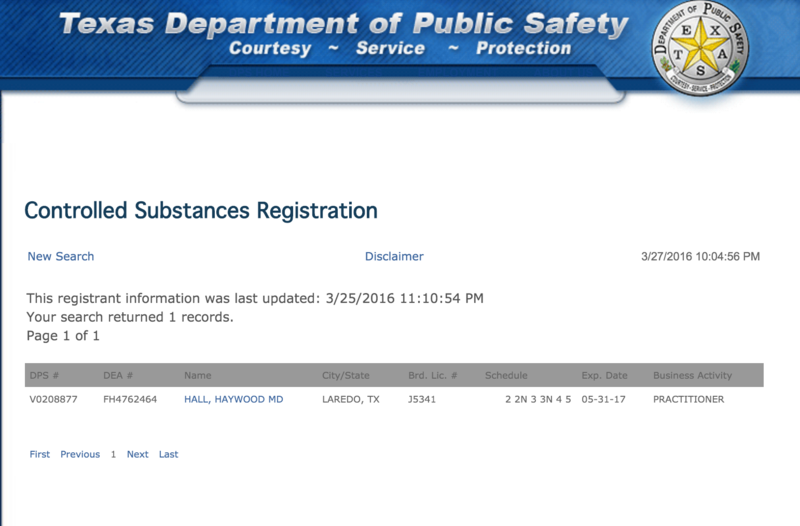 License number 39044, Issue date 1/6/16, 1/6/16 , exp. date 4/30/16. Tennessee Medical License 53482 , Issue date 10/16/15 exp. 6/30/18. 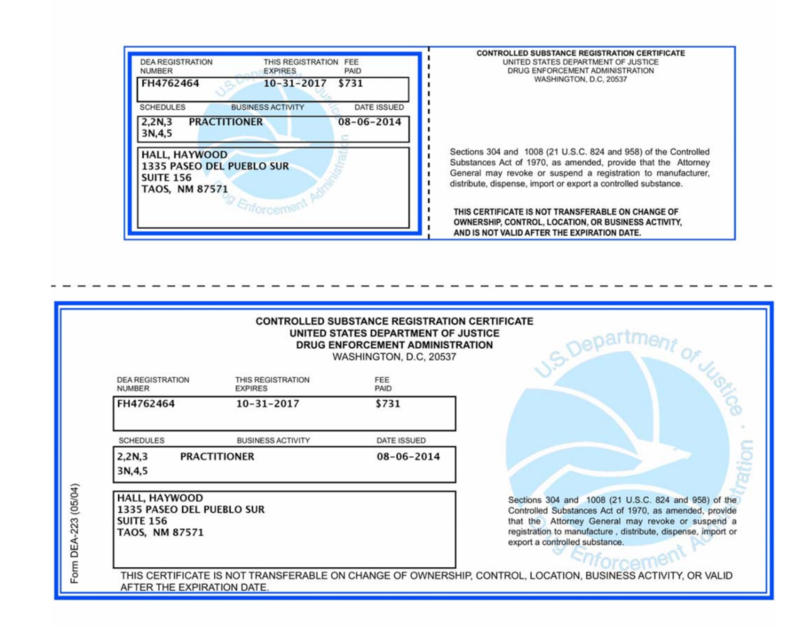 California License 140892, Issue date 2/22/2016, exp. 6/30/2017. Provide Telemedicine consults for MDLive as well as assist with telemedicine network management, especially as it related to Spanish speakers. I also provided emergency medicine coverage in a variety of settings in New Mexico and Texas. 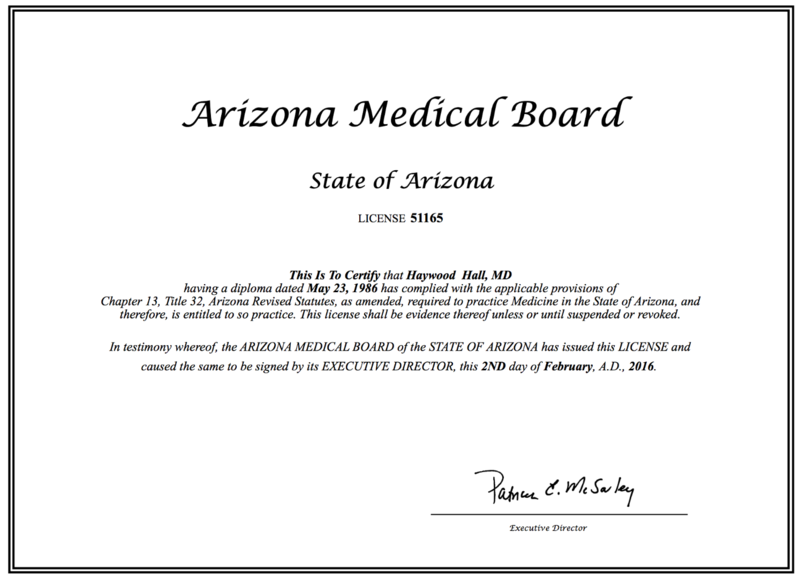 Board Certified Emergency Physician with over 70,000 patients managed in emergency departments in Texas and New Mexico. 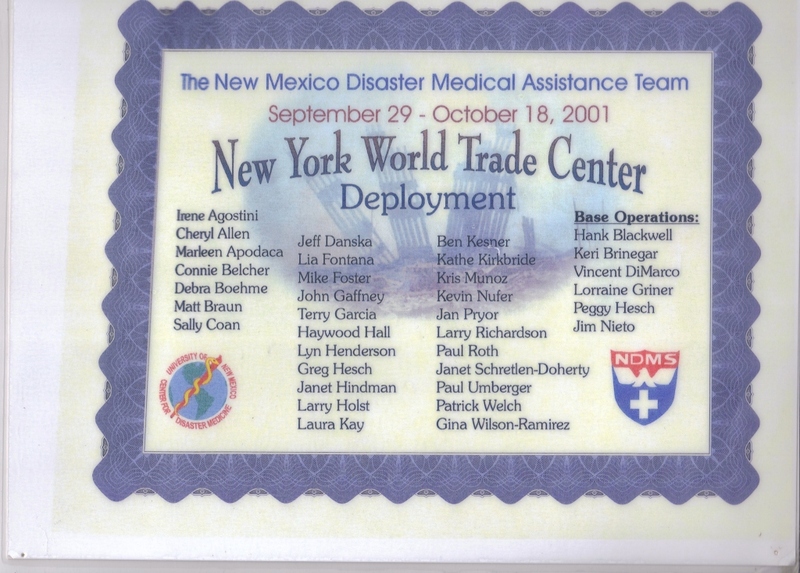 Graduate of Baylor College of Medicine ( 1986) in the Texas Medical Center, and completed residency specialty programs in Internal Medicine and Emergency Medicine at the University of New Mexico, Regional State of New Mexico EMS Bureau Medical Director ( 1992) and Medical Officer at the World Trade Center Disaster in Sept 2001 as part of a Federal Disaster Medical Assistance Team ( DMAT). Founding Director of the New Mexico Heart Hospital Emergency Department ( 1999) and Regional Acting Medical Director for a network of 70 rural hospitals for EmCare. Adjunct Full Professor at the University of North Carolina Medical Center ( appointed by Dr Judith Tintinalli) with additional faculty appointments at the University of New Mexico and the UT Southwestern in Dallas. Recognized as a Ashoka Social Entrepreneur since 2003, an Agora Partner (2014), Mentor Capital Network Finalist ( 2014) , I3 LATAM " Top 10 Social Entrepreneur in Latin America" ( Ashoka, New Ventures Mexico, Hystra and the Swiss Development Agency), SOCAP Entrepreneur 2014, Class of 2015 Global Social Benefit Institute Entrepreneur (GSBI Accelerator Class- 2015) , and International Partnership for Innovative Health Care Delivery Innovator, ( 2015). Core organizer for the Global Summit of Health Technology and Education , sponsored by Mohammad Yunus , Nobel Peace Laureate. Founding Director of PACE Global Health International , (a hybrid enterprise and non profit). 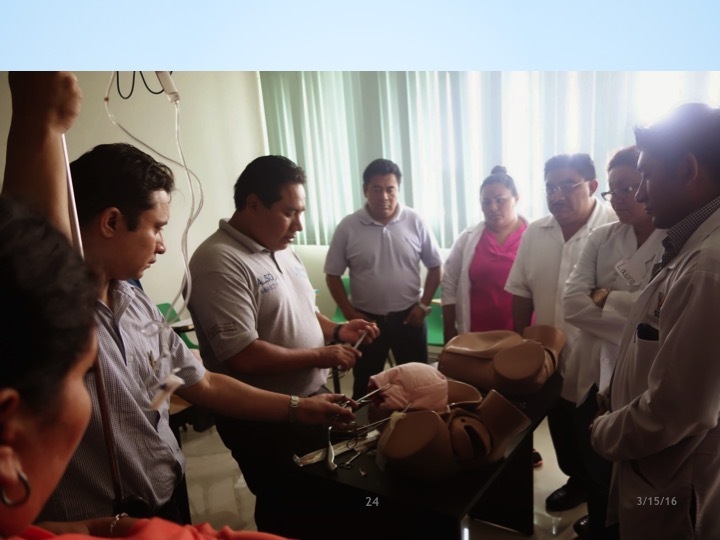 PACE has trained more than 30,000 people in Mexico and Panama , in the areas of Emergency Obstetrics, Emergency Cardiac care, Medical Trauma , Pediatrics, Disaster Advanced Airway and Ventilation, and Emergency Ultrasound. PACE is a Certified "B corporation" (with a GIIRS rating of 82). 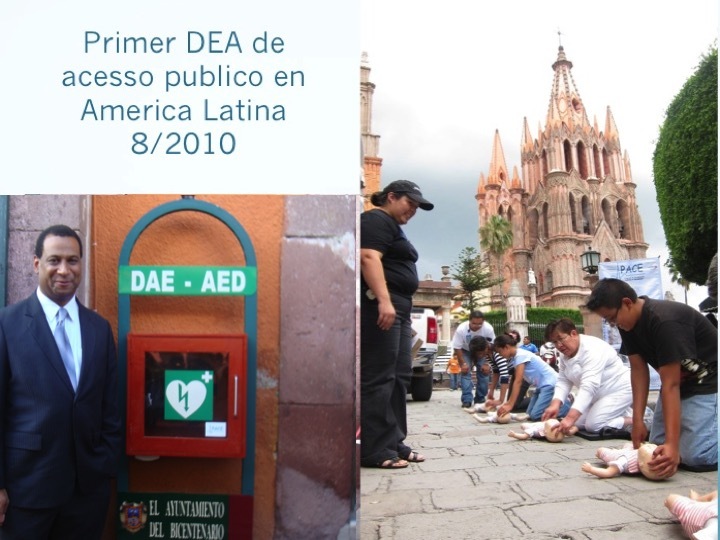 PACE developed the first Public Access Defibrillation Program in Latin America in San Miguel de Allende , in 2010. It has also run the MedSpanish Program which has trained over 500 US health care workers in Medical Spanish and how to communicate with Latino Patients. PACE also runs the PACE CORE program which recruits young health care professionals and transforms them into Change Agents. 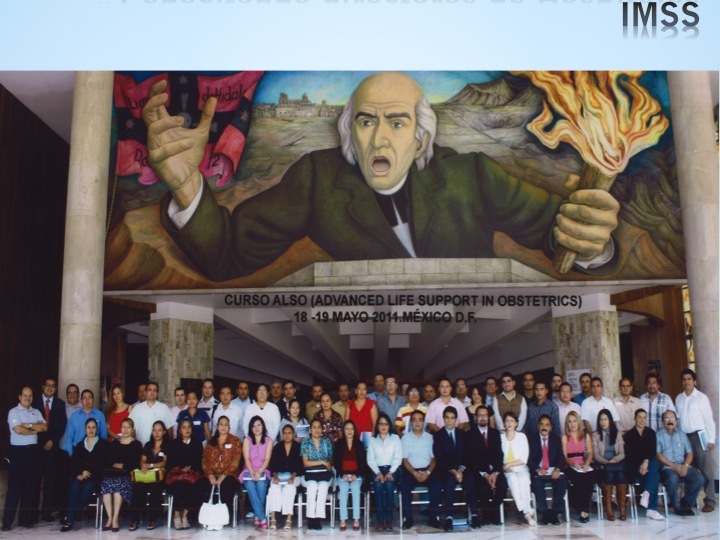 Its emergency Obstetrics program has become a standard in Mexico and changed public policy. Over 10,000 have been trained , especially in the highest risk materna health areas. Member of the Governance, Specialty Implementation, and Continuing Professional Development Committees. 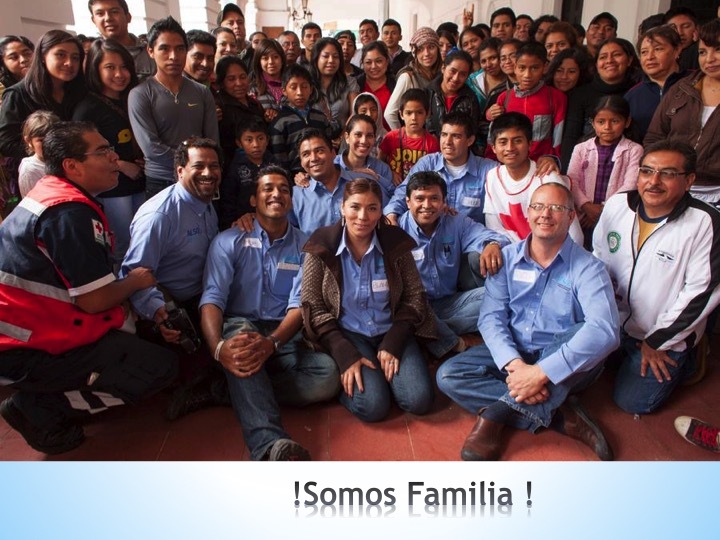 Primary liaison and advocate for Latin American Emergency Medicine representation in the IFEM. Facilitated bringing Panama, Peru, Venezuela, Cuba and ALACED into the IFEM. 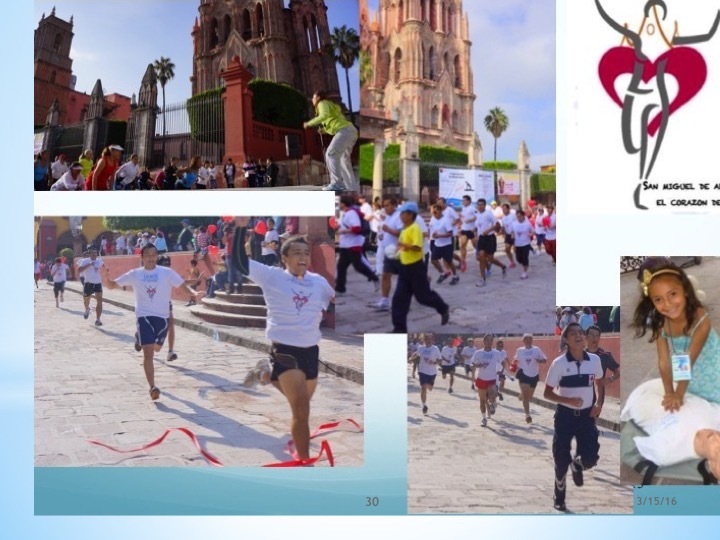 Organized the Bid for the ICEM2018 Mexico City as well as the IFEM Symposium on Resuscitation in San Miguel de Allende , Mexico 2011. Co-organizer for the IFEM Symposium on Public Health and Emergency Medicine in Havana Cuba , 2017. I was a core organizer for the Developing Emergency Medicine Conference in Havana 2013. 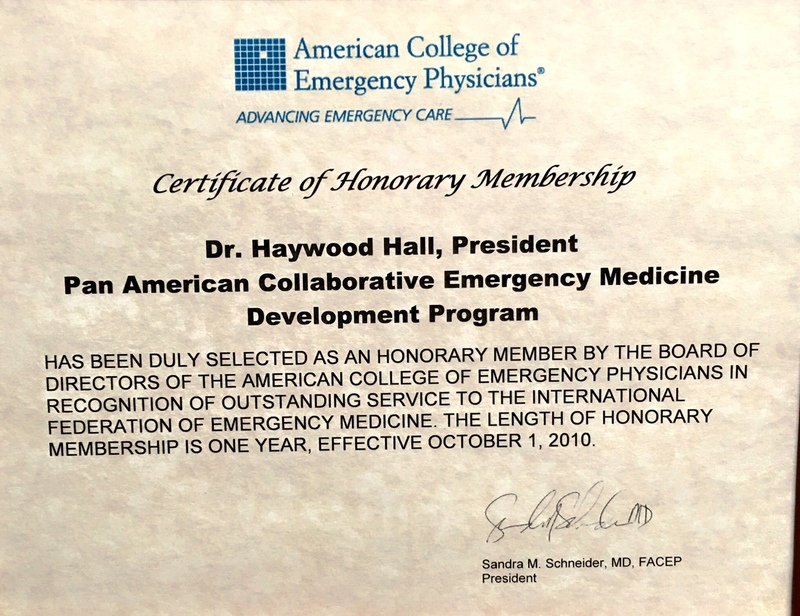 Past Chair of the ACEP International Ambassador Program, ACEP Ambassador to Mexico, Cuba and Panama. ACEP Individual achievement award. Writing articles and editing areas related to EM development and Telemedicine. 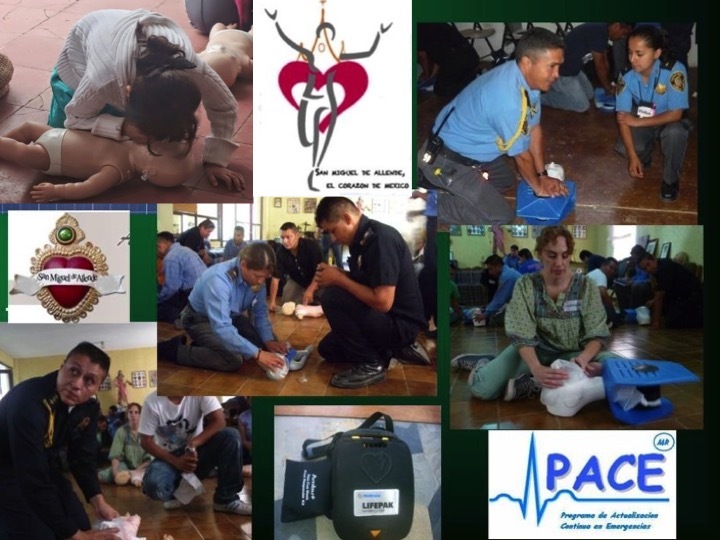 Executive Director/Founder - Pan-American Collaborative Emergency Medicine Development Program (PACEMD Program), Guanajuato, Mexico (6/96 to present) www.Centro-PACE.org. 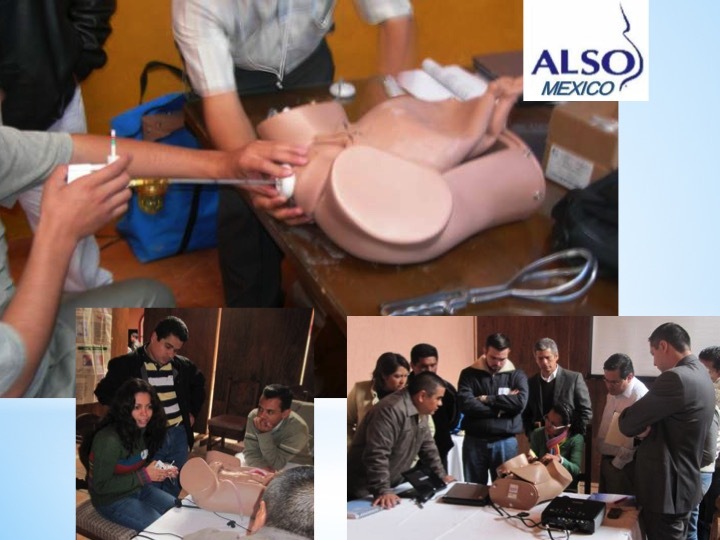 Developed conferences, Advanced Airway courses, trauma nurse provider and instructor courses, emergency ultrasound courses that have been taught in Mexico, Argentina and Panama. 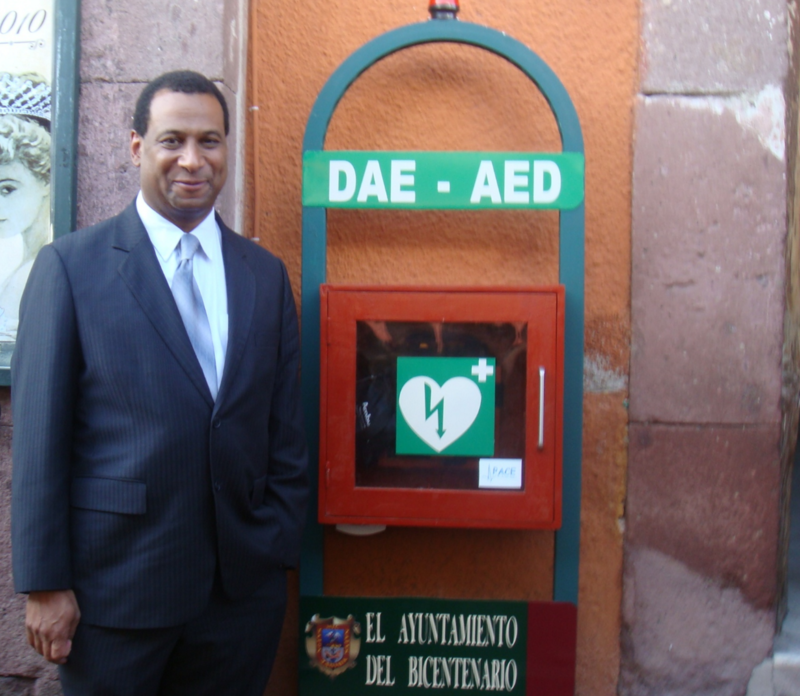 Training Center Coordination for the American Heart Association center in San Miguel de Allende, Guanajuato. Mentors emerging leadership in Latin America in emergency medicine. Organized the training of 14 Advanced Hazmat Life Support instructors in Queretaro Mexico 2007. 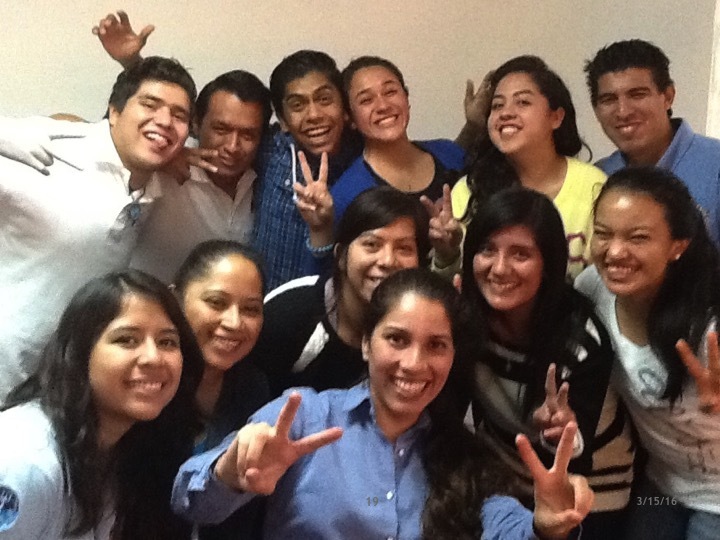 Program has trained about 500 US health care personnel in Medical Spanish at our sites in Guanajuato. We provide CME Credit as well as clinical electives for residents, medical students and others. About half of the participants are emergency medicine oriented. The program also trains personnel who teach emergency materials in Spanish. The program is a locum tenens / physician recruiting group that provides an “alternative practice” model for emergency physicians who are interested in working on the US Mexico border as part of their international career. Opened and managed new, state of the art emergency department for 4 years. Initiated/founded the organization initiative to develop the Masters in Public Health (MPH) Program at the University of New Mexico. Wrote the original development proposal, which emphasized an interdisciplinary approach. Organized and served as a member of the MPH executive committee. Co-chaired the International/ Rural/Border/Cultural Health MPH subcommittee. Developed course outline for core Cultural and International Health course. Coordinator between the MPH Program and University Graduate School. Community organizer / lobbyist for the development of UNM Public Health Programs. Technical advisor to the Dissemination Unit of the World Health Organization Collaborative Center for Community-Based Medical Education. Instrumental in the development their initial computer capability in desktop publishing. Developed and directed the Medical Spanish program for residents, medical students, faculty, and staff of the University of New Mexico Medical Center, funded under the Robert Wood Johnson Foundation Social Medicine Grant. Founded the New Mexico House Staff Association in 1989. Edited the New Mexico House Staff Association Newsletter. Developed one of the earliest UNM policies on “moonlighting”. A support group for Native American physicians. Letters of Recognicion from the Sociedad Mexicana de Medicine de Emergencias, the Consejo Mexicano de medicina de Emergencias, and the Asociacion Mexicana de Medicina de Urgencias. PACE SEDES / Sites is our brand Distribution Network which decentralizes our activities is a franchise like arrangement). The Sede signs a comprehensive licensing agreement and and is considered a branch of PACE in a given service area. Presently we have 15 SEDES including PEMEX ( National Petroleum), UNAM ENEO ( Graduate School of Nursing at the National University) and SEDENA ( The Mexican Department of Defense) .